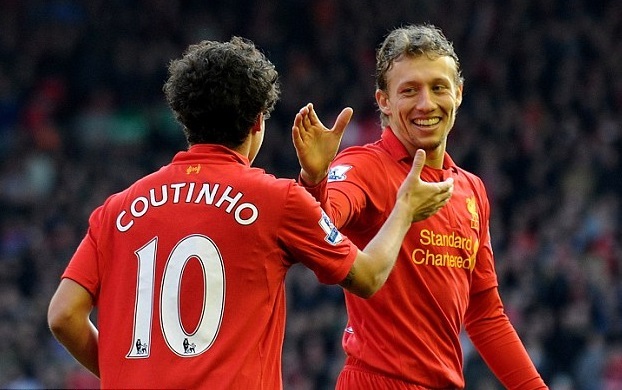 Jurgen Klopp is not actively trying to sell our long-serving Brazilian midfielder, Lucas Leiva. It is understood the 29-year-old – who has been at the club since 2007 – has been attracting the attention of Turkish side Galatasaray all summer. According to the Daily Mail, however, Klopp is not actively trying to sell the midfielder and if the Turks formalise their interest, he will have a big decision to make. It is thought that Lucas himself is not seeking a move, despite being limited to just eight league starts after Christmas last season (four of which came at the very end of the campaign as we focused on the Europa League). Galatasaray would offer Lucas regular first team football. It’s something that we cannot do, especially given our summer additions of Mane and Wijnaldum. The article does not discuss a potential fee, nor whether or not Liverpool have set a minimum fee for clubs who might want to snap him up.